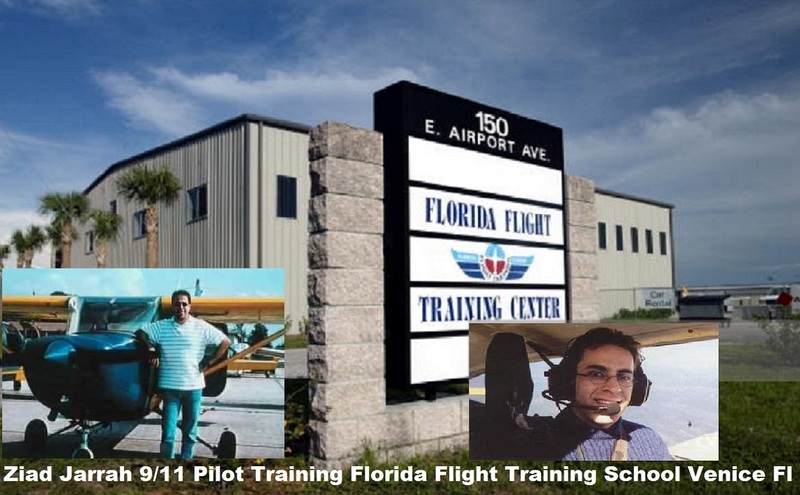 Better Call Bill Warner Investigations Sarasota Fl: Individuals tied to Huffman Flight School and 9/11 Hijackers by FBI linked to 4224 Escondito Circle Sarasota as family members appear to be Abdulaziz al-Hijji and Adel Ghazzawi son of Esam Ghazzawi. 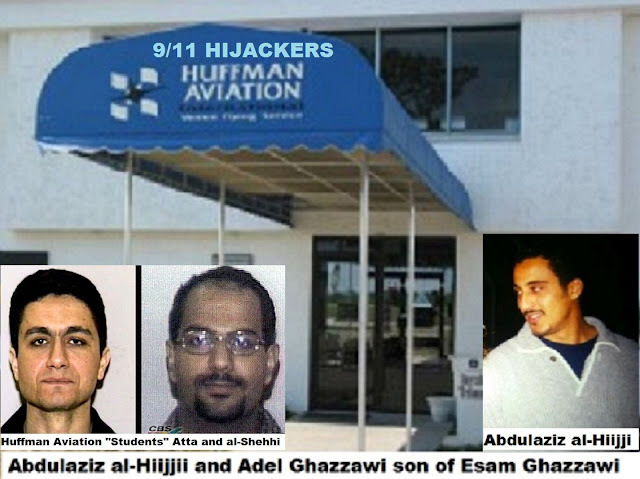 Individuals tied to Huffman Flight School and 9/11 Hijackers by FBI linked to 4224 Escondito Circle Sarasota as family members appear to be Abdulaziz al-Hijji and Adel Ghazzawi son of Esam Ghazzawi. 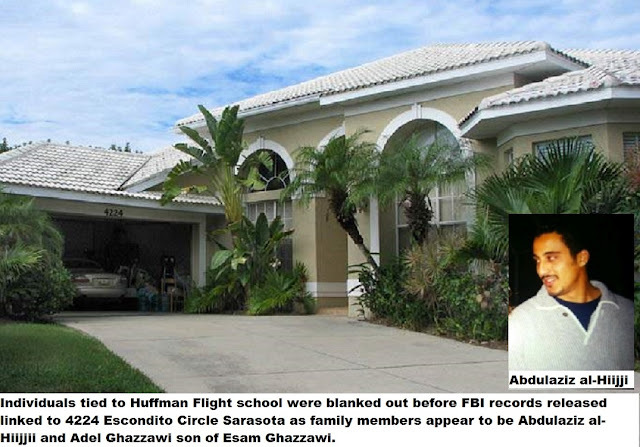 Individuals tied to Huffman Flight School and 9/11 Hijackers by FBI linked to 4224 Escondito Circle Sarasota as family members appear to be Abdulaziz al-Hijji and Adel Ghazzawi son of Esam Ghazzawi. 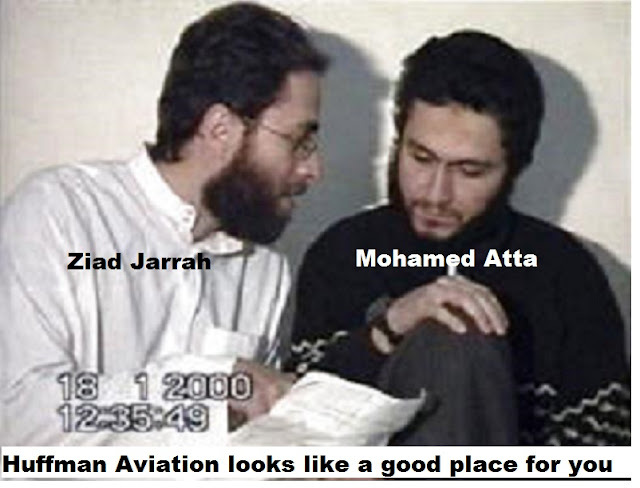 In the year 2000, Sarasota Saudi's Abdulaziz al-Hijji then age 27 and his brother in law Adel Ghazzawi then age 30, were contemporaries of 9/11 Hijack Pilots Ziad Jarrah then age 25, Marwan Al-Shehhi then age 22, and Monamed Atta then age 32 who all appear to have taken Flight Training in Venice Fl at the same time, small world, eh? Claims of a coverup of the 9/11 attacks. That’s what 60 Minutes reported back in April 2016 featuring former Florida Governor and U.S. Senator Bob Graham. 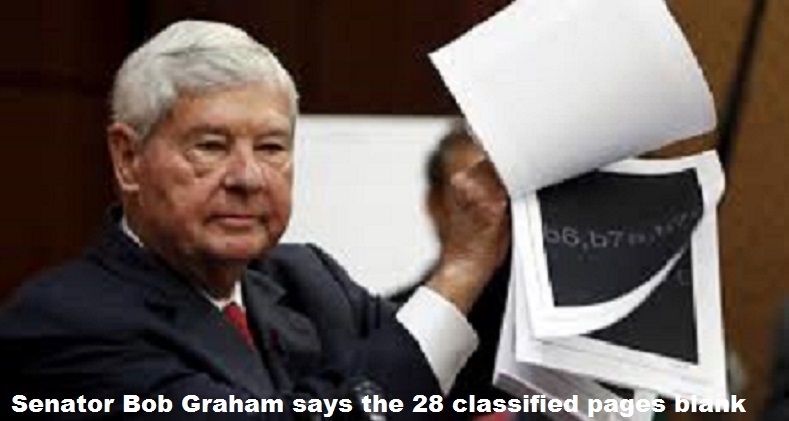 Bob Graham was the chairman of the Joint Congressional Committee looking into the 9/11 attacks and had complete Top Secret clearance. Not only is he upset that 28 pages he helped write about the origin of the attack is being withheld from you, he is also upset the FBI is withholding thousands of pages of key information from top leaders in Congress. “I am concerned that if there was a network assisting the 19 hijackers in place in 2000 and 2001,” Graham told us in 2014, “there’s no reason to believe that it was eliminated.” Former Senator Bob Graham says the 28 classified pages would not only show a closer tie to the government of Saudi Arabia financing the 9/11 attack, but also would show a further connection with the hijackers and a Saudi family living in Sarasota. Twelve days before the attack, the family with ties to the royal family abruptly abandoned the house in a gated Sarasota community leaving behind food, clothing, furnishings and three vehicles. ”There are some things I can’t talk about, there are others what I know is involved in the investigation in Sarasota which is diametrically opposed to what the FBI said publicly,” Graham explained. In the report above the names, addresses and dates of birth of three individuals tied to Huffman flight school were blanked out before the records were released, they are linked to the al-Hijji house as family members, appears to be Abdulaziz al-Hijji and Adel Ghazzawi aka Adel Ghazzaui son of Esam Ghazzawi. If you combine the April 7th 2004 FDLE report testimony of Wissam Hammoud, see below, about Sarasota Saudi Abdull Aziz al-Hijji taking flight lessons at Huffman Aviation in Venice Fl during the same time frame as Mohamed Atta and Marwan al-Shehhi in 2000 with the April 3rd 2002 FBI report seen above that indicates that at least two people linked to the al-Hijji house in Prestancia Sarasota Fl were taking flight lessons at Huffman Aviation with the 9/11 hijackers. 9/11 Terrorist pilot Ziad Jarrah arrived in the United States in June 2000, where he trained at Florida Flight Training Center in Venice Fl from June 2000 to January 2001, after relocating to Florida from New Jersey. Ziad Jarrah who trained at Florida Flight Training in Venice had visited the al-Hijji home in Prestancia Sarasota Fl. Who coaxed Ziad Jarrah to come to Sarasota County to train to be a murderer? One would reasonably conclude that Abdull Aziz al-Hijji was taking flight lessons with the 9/11 hijackers in Venice Fl during the year 2000. 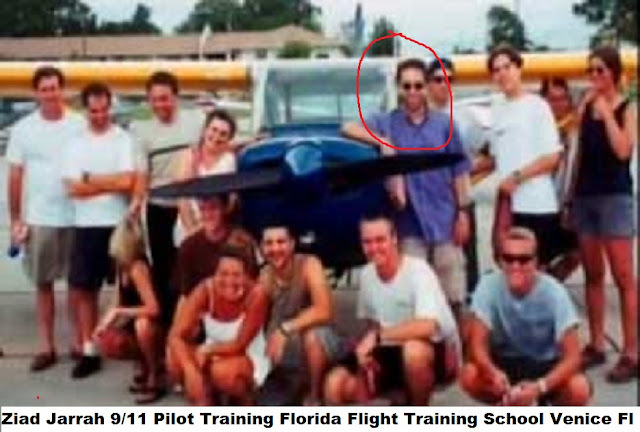 Huffman Aviation in Venice Fl is the key here, was Abdull Aziz al-Hijji already enrolled at Huffman Aviation in 2000 BEFORE Mohamed Atta and Marwan al-Shehhi show up in June of 2000?? Sarasota FBI Field Agent Thomas Baugher told me at one of our meetings in Sarasota at the Sarasota Police Department Intel Unit ”THERE ARE NO COINCIDENCES IN TERRORISM. 3). SALMAN ESAM GHAZZAWI, DOB 3/19/1983 (son of Esam Ghazzawi). 4). ADEL ESAM GHAZZADI, DOB 11/18/1970 (son of Esam Ghazzawi). Adel Ghazzawi aka Adel Ghazzaui and Esam Ghazzawi are both linked to an address on Putter Lane Longboat Key Fl in the 1990's. The Ghazzawi family's ties to America grew stronger in 1970, 17-year-old Esam Ghazzawi married American Deborah G. Browning. Their first child, Adel, was born that year on November 19th 1970. The family later established what has been a long presence in Southwest Florida, through the purchase of a pair of bayfront lots on Longboat Key's Putter Lane. Neighbors had little interaction with the man they referred to as “the Arab.”“That's what we called him,” said former neighbor Betty Blair. “We didn't know his name. All we knew was his kids were in camp so he came for the summer. Two little boys, Adel and Salman.” When Ghazzawi left the U.S., Adel Ghazzawi apparently took over the family's affairs here. It was Adel, then 30 and an American citizen, who tried to get a Prestancia lien lifted so the house could be sold. The lien came after the series of brushes with Prestancia's community association. Esam Ghazzawi's influence extends to his children. Esam Ghazzawi, his son, Adel, is a board member of the New York-based think tank EastWest Institute, which counts the likes of Michael Chertoff, a director of Homeland Security under President George W. Bush and co-author of the Patriot Act, and retired Gen. James L. Jones, a former national security adviser to President Barack Obama, among its members. Adel Ghazzawi operates Conektas, a firm in the United Arab Emirates that helps multinational companies establish businesses in the Middle East. Prince Sultan’s family is of enormous importance in today’s Saudi Arabia. His father, Prince Salman, has been the governor of the province of Riyadh (the city of Riyadh is the Saudi capital) since 1962, and is considered an arbitrator among the frequently warring members of the Saudi royal family, with its 4000 princes. “Adel Ghazzawi has a vast wealth of business, family and personal relationships within the Kingdom of Saudi Arabia,” his biography reads. Former Florida Senator Bob Graham, co-chair of Congress’s Joint Inquiry into the attacks a decade ago, has said the FBI did not disclose the existence of the Sarasota investigation to Congress or the 9/11 Commission. The records also show for the first time that Graham’s former colleague, Senate Judiciary Committee Chairman Patrick Leahy, D-Vt., queried Attorney General Eric Holder and FBI Director Robert Mueller about the Sarasota investigation six days after its existence was disclosed in a story published simultaneously by BrowardBulldog.org and The Miami Herald on September 8, 2011. The story told how concerned residents in the gated community of Prestancia tipped the FBI after the attacks to the al-Hijjis’ sudden departure in late August 2001. The family left behind three cars, clothes, furniture, diapers, toys, food and other items. But the counterterrorism source, who has personal knowledge of the matter, called that assertion “not true.” The Escondito Circle home where al-Hijji lived with his wife, Anoud, and their small children was owned by her parents, Esam and Deborah Ghazzawi. Esam Ghazzawi was an advisor to Prince Fahd bin Salman bin Abdulaziz al Saud, nephew of King Fahd. Prince Fahd, a prominent racehorse owner, died in July 2001 at age 46. Al-Hijji, who following 9/11 worked for the Saudi oil company Aramco in England, could not be reached by phone or email last week. He denied involvement in the 9/11 plot, which he called “a crime against the USA and all humankind.” The records as released do not identify al-Hijji or anyone else by name, citing various exemptions that protect persons’ names in law enforcement records. The names are apparent, however, because the documents describe unique, known events and were released in specific response to a request for information about the investigation at the al-Hijji’s residence. 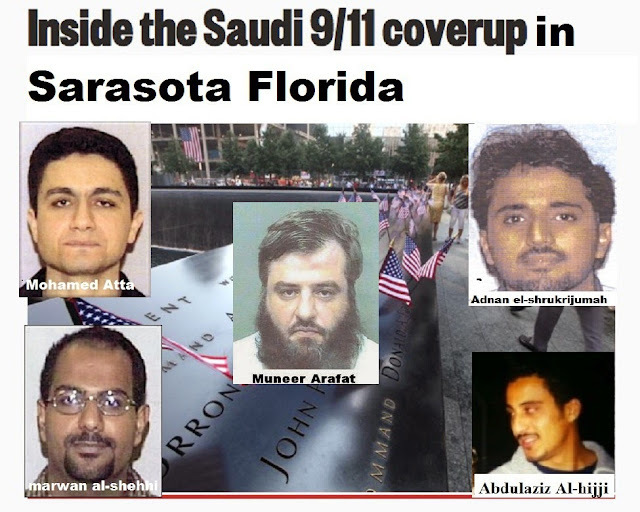 While living in Sarasota Florida, Abdulaziz al-Hijji attended Manatee Community College (now the State College of Florida Manatee-Sarasota) and, from January 2000 until April 2001, the University of South Florida. He earned a bachelor’s degree with a major in management information systems awarded in August 2001. 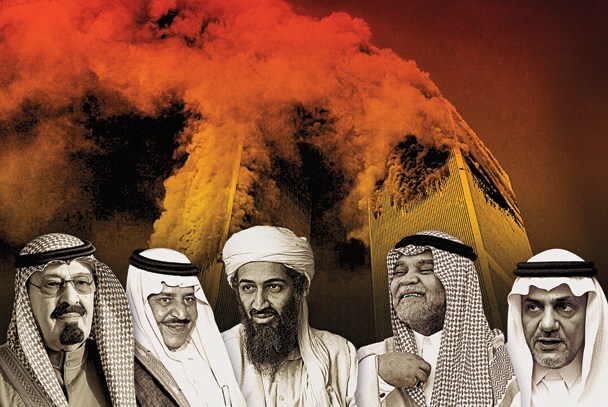 In the weeks before 9/11, al-Hijji — then 27 — and his wife Anoud, daughter of an adviser to a member of the Saudi royal family, departed their home at 4224 Escondito Circle in the upscale gated community of Prestancia and returned to Saudi Arabia. County: Sarasota, FL, Islamic Center of Sarasota Bradenton. They left behind three cars and “numerous personal belongings including food, medicine, bills, baby clothing, etc,” according to the FDLE documents which state the family departed on Aug. 27, 2001. An April 16, 2002 FBI report says “repeated citizen calls” led to an inspection of the home by agents of the Southwest Florida Domestic Security Task Force. “It was discovered that the [ family name deleted ] left their residence quickly and suddenly. They left behind valuable items, clothing, jewelry and food in a manner that indicated they fled unexpectedly without prior preparation or knowledge,” the report says. “Further investigation of the [ name deleted ] family revealed many connections between the [ name deleted ] and individuals associated with the terrorist attacks on 9/11/2001,” the report says. The report lists three of those individuals. While their identities remain secret, the first person on the list was described as “a [ name deleted ] family member.” That person and a second individual were said to be flight students at Huffman Aviation – the flight school at the Venice Municipal Airport attended by hijackers Atta and al-Shehhi. The third person on the list “lived with flight students at Huffman Aviation” and was “arrested numerous times by the Sarasota County Sheriff’s Office,” the report says. The next paragraph, which ends the report, is blanked out entirely. The document cites two reasons: an Executive Order that allows matters “to be kept secret in the interest of national defense or foreign policy” and the National Security Act, which lets the CIA director exempt his agency’s operational files from the Freedom of Information Act. FBI Special Agent Gregory Sheffield wrote the April 2002 report, according to the counterterrorism officer. His name is blanked out, too. A notice on the document indicates the censored information regarding the three individuals associated with the terrorist attacks is scheduled to remain classified for another 25 years – until March 14, 2038. The FBI released the records as a Freedom of Information lawsuit filed by BrowardBulldog.org inches toward trial this summer in federal court in Fort Lauderdale. The suit was filed in September after the FBI rejected both a request for its investigative records and an appeal of that request. Thomas Julin, the news site’s attorney, called the FBI’s release of records that it had previously determined to be exempt from disclosure “highly unusual.” “The government initially took the position that it had no documents. It hasn’t explained why things changed,” said Julin, of Miami’s Hunton & Williams. Miami Assistant U.S. Attorney Carole Fernandez, who represents the FBI, declined comment. The released FBI records are in two tiers: reports and other material written in 2001-2002 and memos, letters and email that followed publication of the first story about the matter in September 2011. A number of pages recount information provided to the FBI by mail carriers and others, including a Sept. 18, 2001 observation that the al-Hijji’s appeared to have “left in a hurry.” A Sept. 25 report talks of bank records that agents had obtained. The report was referred to the counterterrorism division’s Usama Bin Laden Unit/Radical Fundamentalist Unit. One of the reports written in September 2011, after the existence of the Sarasota investigation was revealed, discusses briefly the unnamed “family member” who took flight lessons at Huffman Aviation. “[ Name deleted ] was interviewed multiple times after 9/11 and identified Atta and al-Shehhi as individuals [ phrase deleted ] flight training at Huffman. 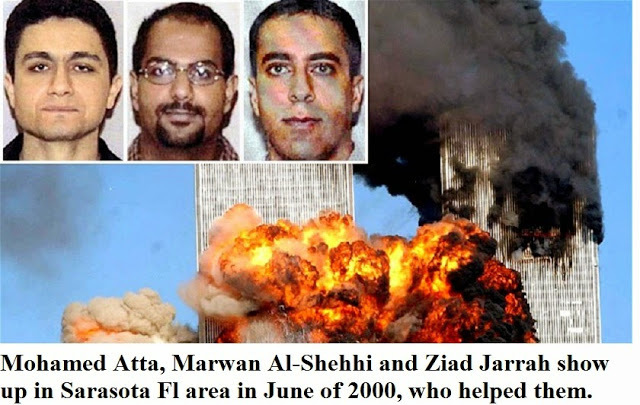 However, investigation did not reveal any other connection between [ name deleted ] and the hijackers and the 9/11 plot,” the report says. FBI 302 reports about those interviews were not made public. Senate Judiciary chair Leahy’s inquiry is disclosed in a declassified Nov. 22, 2011 response letter written by Assistant Attorney General Ronald Weich. Weich called the FBI’s response to the 9/11 attacks “comprehensive and unprecedented.” He assured Leahy that agents found no evidence of contact between the hijackers and the al-Hijjis. Similarly, Weich denied Sen. Graham’s assertion that the FBI had not turned over its Sarasota records to Congress. The bureau, he stated, made all of its records available and suggested they may have been overlooked by investigators. “The FBI is unable to ascertain whether these investigators reviewed records concerning the Sarasota family. The FBI also has not identified any specific requests by the investigators concerning the Sarasota family,” the letter says. “You can’t ask for what you don’t know exists,” said Graham. In the weeks before 9/11, al-Hijji — then 27 — and his wife Anoud, daughter of an adviser to a member of the Saudi royal family, departed their home at 4224 Escondito Circle in the upscale gated community of Prestancia and returned to Saudi Arabia. An alarmed neighbor contacted the FBI. When several weeks passed without action, Prestanica resident and administrator Larry Berberich alerted local law enforcement. Authorities, including the FBI, moved in. The investigation led to a stunning development, according to Berberich and a counterterrorism officer who spoke on condition of anonymity. 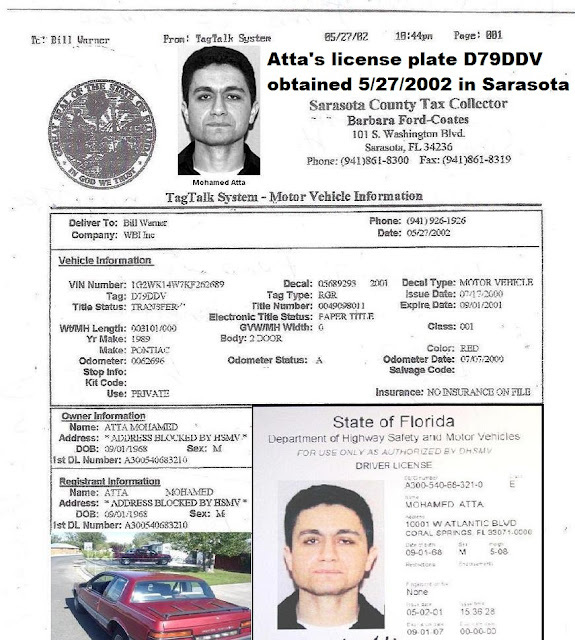 WISSAM HAMMOUD SEEN AS TERRORIST ASSOCIATE: Documents the FBI now has released do not mention other known aspects of the Sarasota investigation, including troubling information provided to the FBI by al-Hijji’s former friend, Wissam Hammoud. The FDLE reports buttress key elements of the story, while providing new details: Wissam Hammoud, who said he met al-Hijji through relatives, said the two men worked out together at Shapes Fitness in Sarasota and played soccer at the local Islamic Society. He told the FBI Al-Hijji was “very well schooled in Islam” and that “Osama bin Laden was a hero of al-Hijji.” He added that Al-Hijji showed him a “website containing information about bin Laden,” and spoke of “going to Afghanistan and becoming a freedom fighter.” Al-Hijji also tried to recruit him, Hammoud said. According to Hammoud, al-Hijji also talked of “taking flight training in Venice.” He said he believed “al-Hijji had known some of the terrorists from the September 11, 2001 attacks” who were students at an airport there. 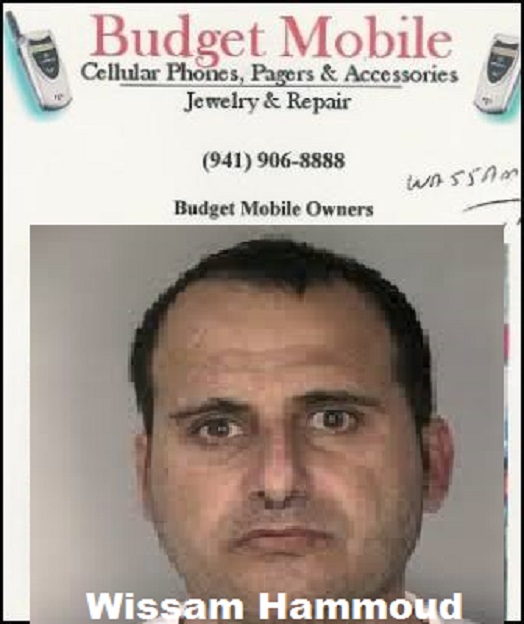 SARASOTA CELL PHONE DEALER LINKED TO TERRORISM/ST PETE TIMES. Wissam Taysir Hammoud, had plotted to kill a federal agent and an informant (CI), his photo above. In 2001, Wissam Hammoud was convicted for possession and transfer of a machine gun and a sawed-off shotgun, he sold the weapons to an undercover agent for the ATF Sarasota/Tampa Fl. Wissam Taysir Hammoud plead guilty after prosecutors agreed to recommend a reduced sentence of 17 years, (he could have got a life sentence) and Hammoud agreed to cooperate in unspecified investigations! 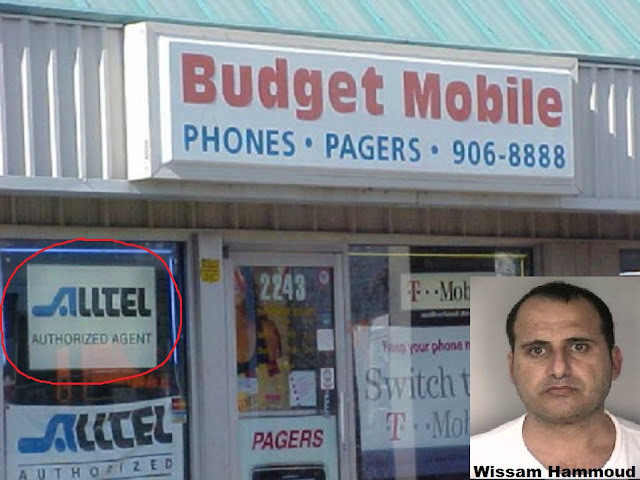 Hammoud, who owned Budget Mobile cell phone business in Sarasota, told investigators he tried to kill two people because of their involvement in his 2001 conviction for possession and transfer of a machine gun and a sawed-off shotgun. Hammoud met in his store with two cooperating witnesses on Dec. 30, 2003, and demonstrated how he wanted the informant shot and killed, according to a signed plea agreement. Eight days earlier, he joked about decapitating the informant and sending his head to the agent’s house. FDLE Report April 7th, 2004 Wissam Hammoud testimony, see above, indicates that Sarasota Saudi Abdull Aziz al-Hijji was taking flight lessons at Huffman Aviation in Venice Fl during the same time frame as Mohamed Atta and Marwan al-Shehhi in 2000. 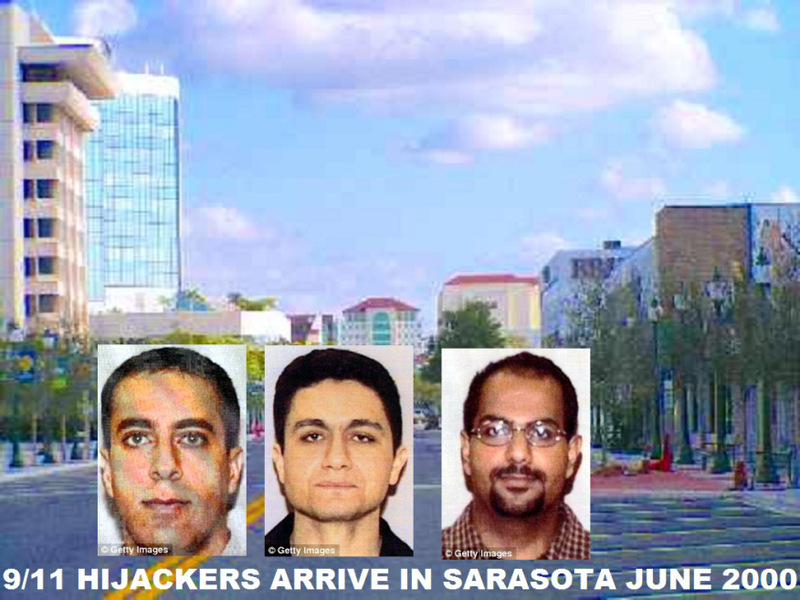 The same FDLE report also indicates that Sarasota Saudi Abdullaziz al-Hijji had brought Al-Qaeda terrorist Adnan el-Shukrijumah to the Islamic Center of Sarasota and Bradenton on N. Lockwood Ridge Rd in Sarasota Fl to play soccer. The same FDLE report also indicates that Sarasota Saudi Abdull Aziz al-Hijji had a close relationship with Mohamed Mezroub and the two of them had talked of going to Afghanistan and fighting with the Taliban against US troops. Mohamed Mezroub was known to the Sarasota County Sheriff Dept. Labels: Individuals tied to Huffman Flight School and 9/11 Hijackers by FBI linked to 4224 Escondito Circle Sarasota as family members appear to be Abdulaziz al-Hijji and Adel Ghazzawi son of Esam Ghazzawi.